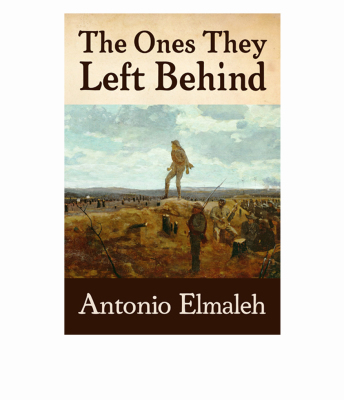 Antonio Elmaleh, author of the critically acclaimed Civil War and Reconstruction novel, The Ones They Left Behind will discuss PTSD, women's roles during times of war, the writing and publishing process, and more! Antonio Elmaleh, author of the critically acclaimed Civil War and Reconstruction novel, The Ones They Left Behind, and John Blake, senior writer and producer with CNN.com, and author of Children of the Movement, will discuss the parallels between our country during the Civil War and now, and how we can unite as a nation during these divisive times. Antonio Elmaleh, author of the critically acclaimed Civil War and Reconstruction novel, The Ones They Left Behind, and Victor Davis Hanson, the Martin and Illie Anderson Senior Fellow at the Hoover Institution, will discuss the parallels between our country during the Civil War and now, and how we can unite as a nation during these divisive times. Dr. Hanson's focus is classics and military history. Antonio Elmaleh, author of the critically acclaimed Civil War and Reconstruction novel, The Ones They Left Behind, and James E. Campbell,UB Distinguished Professor of Political Science at the University at Buffalo, SUNY will discuss the parallels between our country during the Civil War and now, and how we can unite as a nation during these divisive times. James Campbell is the author of Polarized: Making Sense of a Divided America (2016) published by Princeton University Press. Prior to joining UB’s faculty in 1998, he taught at the University of Georgia (1980-88) and at Louisiana State University (1988-98). He has been an APSA Congressional Fellow and a National Science Foundation program director. He is the author of three other books and more than 70 scholarly articles and book chapters on American politics, elections, campaigns, and political behavior. Antonio Elmaleh, author of the critically acclaimed Civil War and Reconstruction novel, The Ones They Left Behind, and Joe Williams, a veteran journalist, and senior news editor with US News, covering the Supreme Court and national politics,will discuss the parallels between our country during the Civil War and now, and how we can unite as a nation during these divisive times. Joe Williams is the former White House correspondent for Politico, and was the deputy chief of the Boston Globe's Washington Bureau, where he supervised coverage of the Bush and Obama administrations His Twitter handle is @VerbDC. Antonio Elmaleh, author of the critically acclaimed Civil War and Reconstruction novel, The Ones They Left Behind, and Douglas McAdam, Professor of Sociology at Stanford University and author or co-author of over a dozen books and over fifty articles, will discuss the parallels between our country during the Civil War and now, and how we can unite as a nation during these divisive times. 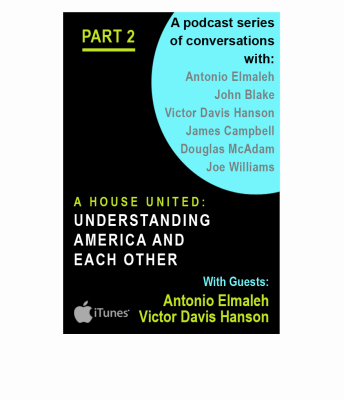 McAdam is the co-author, with Karina Kloos, of the book, Deeply Divided: Racial Politics and Social Movements in Postwar America, which, while published 2 years prior to our recent election, earily anticipated the rise of Donald Trump.